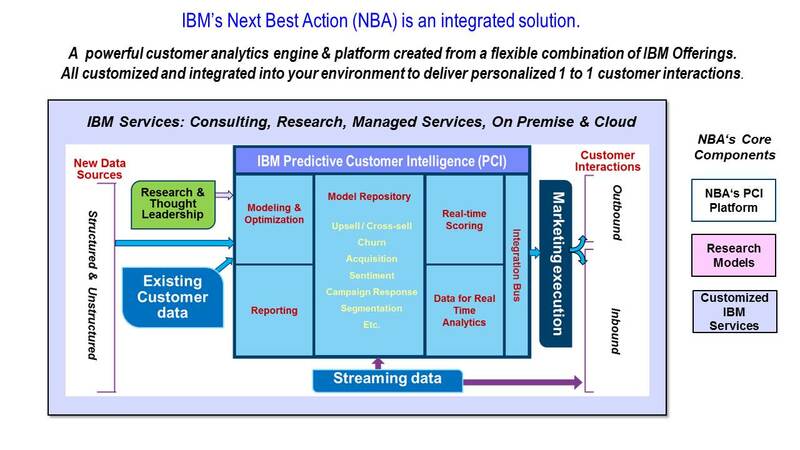 IBM Customer Intelligence & Next Best Action services uses predictive analytics to create 1 to 1 personalized customer triggered interactions and relationships. Customer Intelligence can be tailored to run in almost any environment. As a managed service all you need is an internet connection and no analytical staff. As a Cloud Business solution your staff uses Customer Intelligence via a browser.